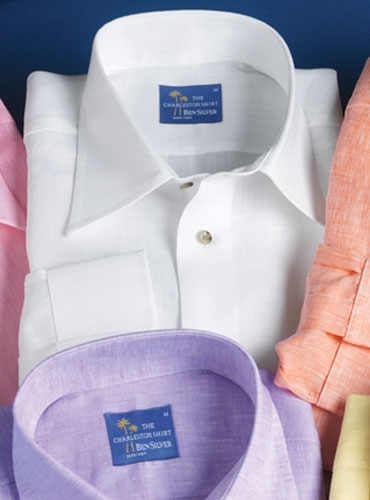 We are again delighted to offer our own exceptional linen shirts for the warmer weather. 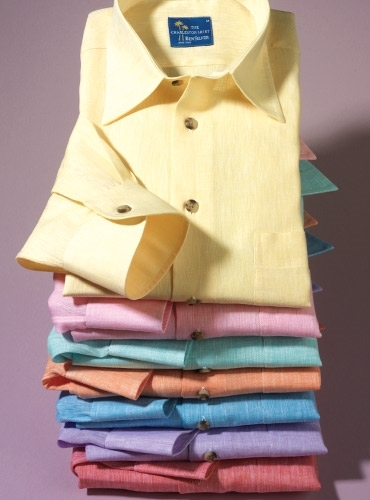 Generations past, Charlestonians wore linen to withstand the brutally hot days of summer, and in tribute to that history we have created a linen shirt of the highest quality, in seven wonderfully vivid colors that any contemporary man would enjoy wearing. 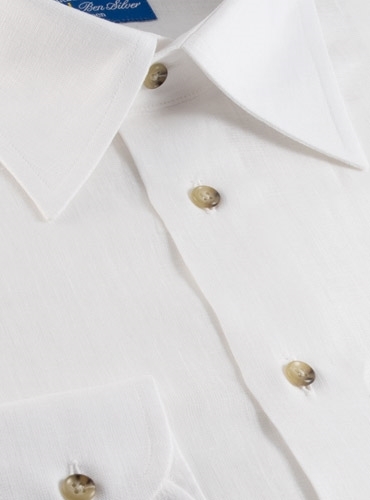 We have tailored this shirt with the same meticulous attention to detail as we do our dress shirts, from the finest Irish linen available. 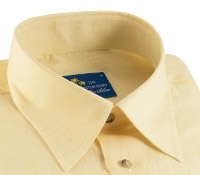 Nevertheless, it is styled for greater versatility than a dress shirt because the open collar is soft and easy fitting (much like a button down shirt without the buttons),and the French front has no placket, to assure complete simplicity in styling. 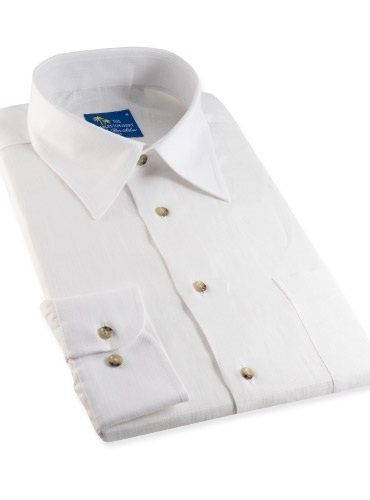 The button cuff and all of the front buttons are a beautiful horn style for an extra touch of elegance, and the shirt bottom is squared with split side seams so that the shirt also can be worn out very casually. 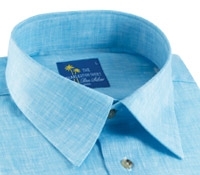 This shirt need not be dry cleaned, since it can be machine washed in cold water, on a delicate cycle, hung to dry straight, and will require minimal ironing. If washed this way it will not fade or bleed. 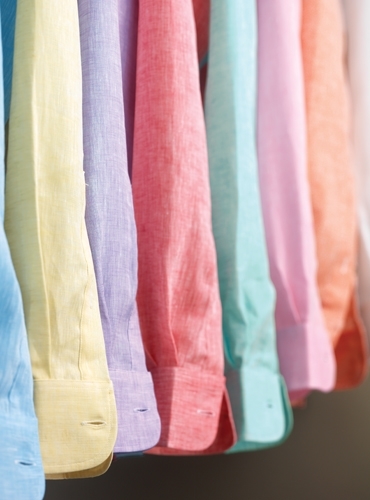 After all, these are the best linens available! 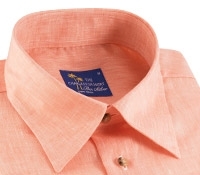 We think that you will be at ease wearing this shirt over pants casually, or tucked in with a fine trouser, even with a jacket on a cool evening. Available in sizes M-XXL.